Containers: To use for different purposes. Give your container a name. For example the domainname of the website you will use it for. Also make the choice ‘Web’, ‘iOS’, ‘Android’ or ‘AMP’ and click ‘Create’. You now see the ‘Dashboard’ of the created container. Variables: Variables are name-value pairs for which the value is populated during runtime. For example, the predefined variable named “url” has been defined such that its value is the current page URL. Folders: When you use the tag manager intensively the number of items can grow and grow. To keep organized you can add every item to a folder. The next step is to connect the tag manager to your WordPress website. We will to this with the WordPress plugin ‘DuracellTomi’s Google Tag Manager for WordPress‘. This plugin makes it easy to install the tag manager and gives you multiple options for example WooCommerce and video tracking. Install and activate the plugin with the ‘WordPress installer’. 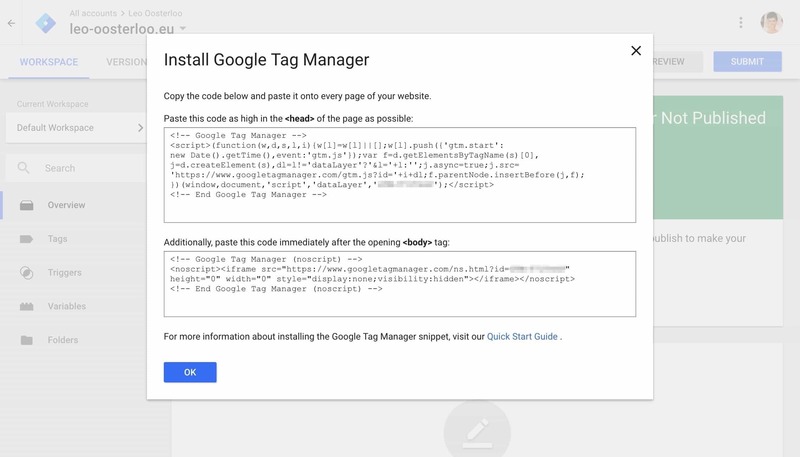 The last step to connect Google Tag Manager is to setup your GTM-ID within your WordPress website. Deze ID is de Container ID within GTM. 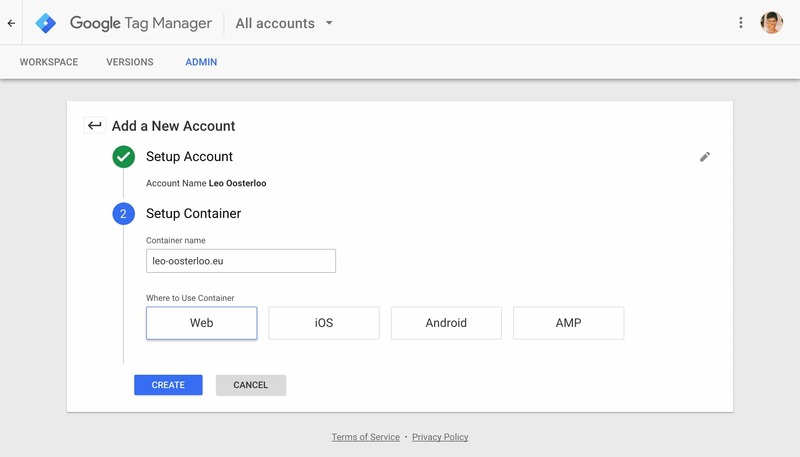 The easiest way to find the ID is in the top-right corner in the dashboard or on the accounts page with all containers you have created. Every account has an unique ID like: GTM-XXXXXXX. Copy this ID and paste it in the field on the settings page. To finalise the connection you need to select the way you want to place the containercode. My advise would be to choose the ‘Codeless injection’ because you don’t have to add the code in your WordPress theme and the code is placed on the right place. Congratulations! 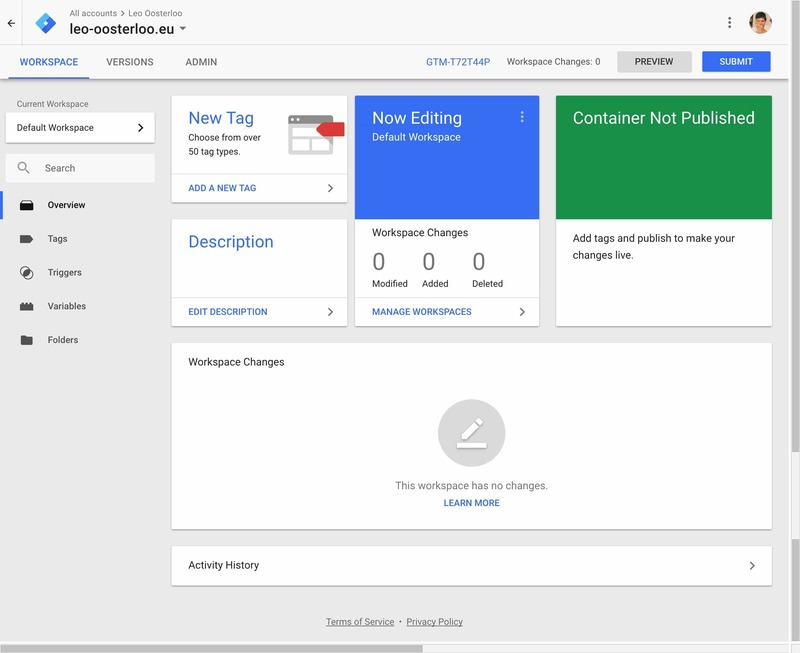 You now have connected Google Tag Manager with your WordPress website.